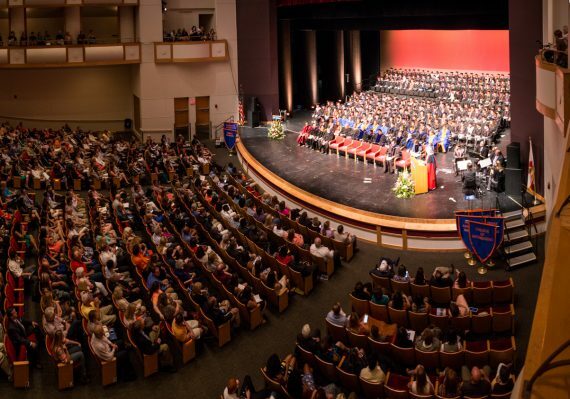 The University of Florida's College of Engineering commencement ceremonies for all undergraduate programs were held at the Phillips Center for Performing Arts on UF's campus in Gainesville, Florida. Our Spring 2016 Commencement ceremonies were held on May 1 in UF’s beautiful Curtis M. Center for the Performing Arts. Next Next post: Get ready for Preview!